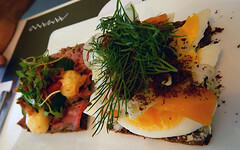 Some ‘turquoise’ from around the world. 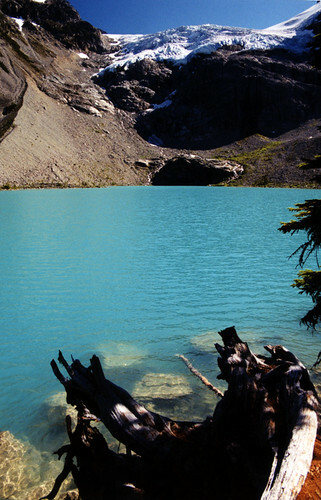 The third Joffre Lake, a turquoise glacial till lake, surrounded by the glacier (BC, Canada). 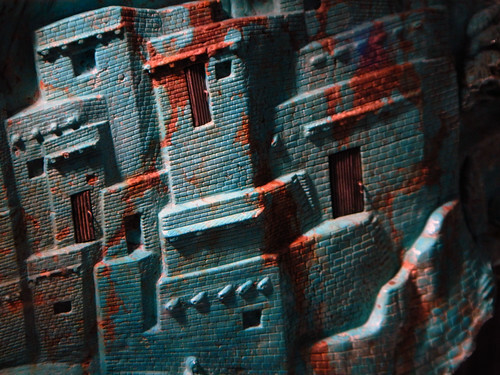 A large piece of turquoise carved with ancient cliff dwellings in an Anacortes Store, Washington, USA. Turquoise doors in Penang, Malaysia. Agua Clara in Palenque, Mexico is as turquoise as a glacial till lake up north even though there aren’t any glaciers around. 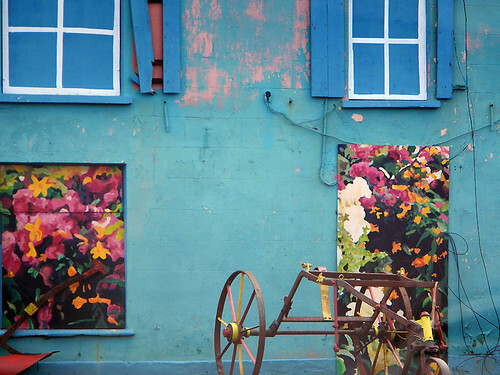 A boarded-up building in Port Magee is made vibrant with painted flowers and false windows (Ireland). 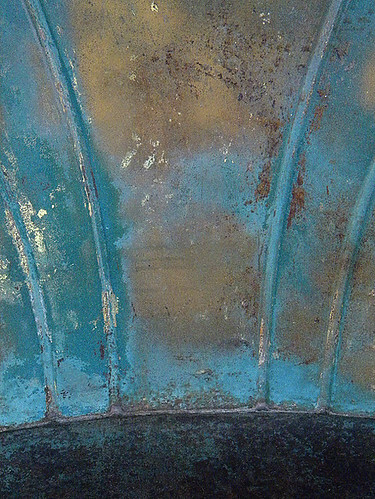 A turquoise chair abstract from Moab in Utah, USA. 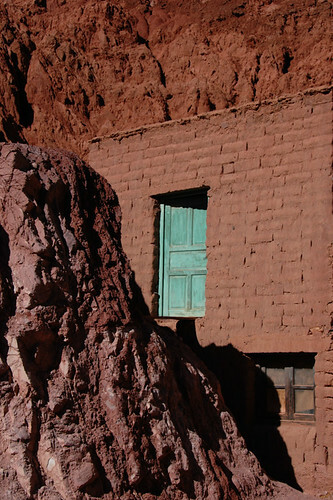 An adobe building in Purmamarca blends into the coloured sandstone surrounding it, the turquoise door acting as a punctuation mark. (Quebrada de Humahuaca in Argentina’s northwest). 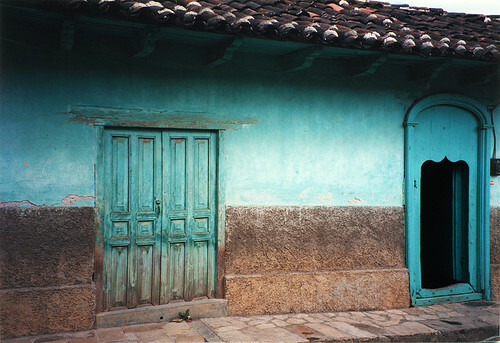 A turquoise house in Guatemala. 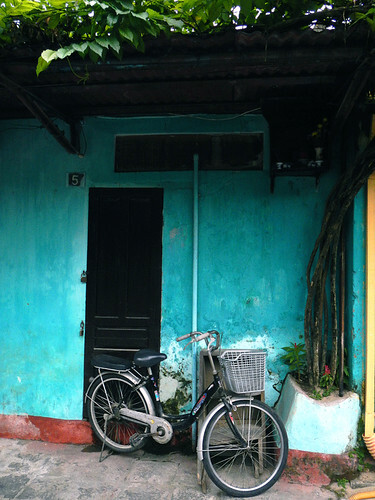 A turquoise wall with a bike in Hoi An, Vietnam. More of Ailsa’s Travel Theme: Turquoise. 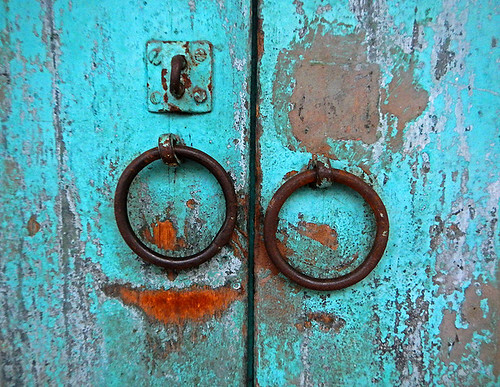 Love the vibrancy and textures of the Malaysian doors, and the last two images….fab! I love turquoise houses but they only seem to happen in tropical places. And Ireland! What a glorious collection of turquoise captures! 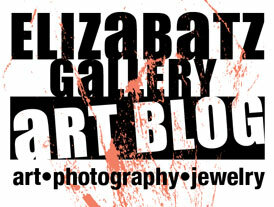 Beautiful photos…especially love the turquoise door as a punctuation to the adobe building. Really stands out! Great theme! These are wonderful.